This statistic shows the ratio between CEO and average worker pay in the world for 2014 by country. 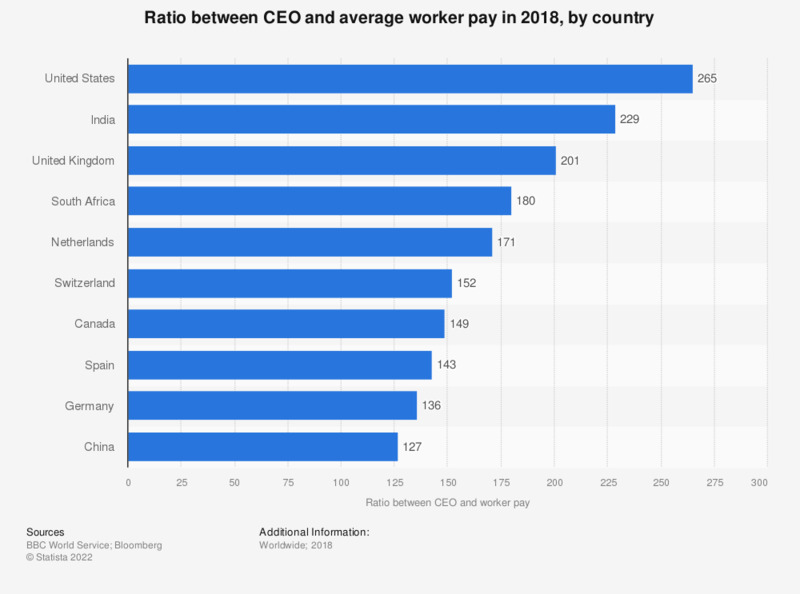 In 2014, the ratio between CEO and average worker pay in the U.S. stood at 354:1, meaning that for every U.S. dollar an average worker gets paid, a CEO receives about 354 U.S. dollars. Do you believe there is a maximum amount that a CEO should be paid relative to the average worker, no matter the company and its performance?